UK solar has been lauded for the pivotal role it played in what has been billed as the greenest year yet for the UK’s energy supply. But while further records are set to fall in 2018, the country’s domestic solar industry continues to wait for a strategic steer from the government. Last week WWF compiled a list of 13 clean energy records that fell in 2017, chief among those relating to solar being the generation record set on the afternoon of 26 May, when the country’s solar PV capacity provided 8.9GW of power at one moment. This was followed by the technology providing a record proportion of national demand – more than a quarter (26.8%) – on 2 July. Solar also played a significant part in what WWF and National Grid has billed as the UK’s greenest ever summer, when more than half (52%) of electricity generation came from low carbon sources between 21 June and 22 September. Gareth Redmond-King, the NGO’s head of energy and climate change, said 2017 had been an “amazing year” for renewable electricity in Britain with the country on course for an even better spell this year. “Climate change is wreaking havoc on our nature and wildlife, but we are at last facing up to the challenge, turning our backs on polluting fossil fuels and embracing a new clean future. But we need to show more ambition by bringing forward the ban on the sale of petrol and diesel cars to 2030,” he said. 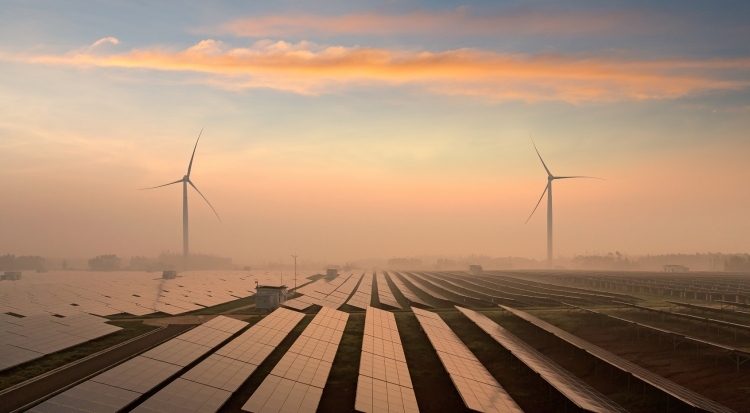 WWF’s list of records was given further credence by the latest dataset released by the Department for Business, Energy and Industrial Strategy just before Christmas, which revealed that renewables had accounted for at least 30% of total electricity generation in the UK for the second consecutive quarter. Further analysis from power generation monitoring website MyGridGB revealed that renewables and other low carbon generators, typically nuclear, had pushed coal off the grid substantially. In 2017 coal’s share of UK power generation stood at just 7%, sending the country’s power sector carbon intensity to a new low of 275gCO2/kWh in 2017. However industry groups have been quick to point out that further work is necessary with the country remaining behind schedule in its bid to meet the fourth and fifth carbon budgets, even with measures established within BEIS’ Clean Growth Strategy. More specifically, the UK’s solar industry continues to wait for two crucial directions from the government that are now outstanding. The government was due to publish both details surrounding a review of the small-scale feed-in tariff, pledged to be bi-annual within the original feed-in tariff consultation response published in December 2015, and further a strategic steer for how the government intended to stimulate subsidy-free deployment of solar beyond 2019, promised within October’s Clean Growth Strategy. Solar Power Portal contacted BEIS regarding the outstanding documents but has yet to receive a response.